The title is fairly telling of this post. Modern-day spin-offs of Jane Austen’s works are constantly hitting the DVD shelves and bookstores, and I’m automatically skeptical of them. Here’s my attempt to discuss why and how I’ve reacted to a few of them. I love some, but my bar is high and I've strongly disliked others. I think my skepticism comes from simply airing on the “don’t mess with a classic” side of the debate. I’m not hard and fast on this, but modern spin-offs do make me nervous. When I see one in a store, I automatically wonder what that particular author or director has done with the characters, how much of the story has been changed to fit the present, and whether a perception on the original would be affected. So far, I’ve found that in general, I like very loose spin-offs much better than the attempts I’ve seen to directly translate an entire story into modern times. The looser interpretations tend to bring in Austen as a background element rather than copying big sections of her plots, and that's often the better option for modern stories. Because here’s the thing: so many directors and authors mutilate her plot devices and themes by trying to “update” or “modernize” them. For example, in Bridget Jones’ Diary, a modern spin-off of Pride and Prejudice, chivalry is dead and permanence is not to be expected in marriage, but these are foundational elements of Austen’s original novel. Darcy has to be a man worthy of Elizabeth’s affection before he can win her heart, and manners and chivalry are integral elements to that. And of course, we have no doubt that Darcy and Elizabeth will be together for the rest of their lives. In this spin-off, the attempt to “update” sexual ethics robs the story of much of its charm and beauty. So I remain skeptical and choosy. Here are my takes on a few popular ones. 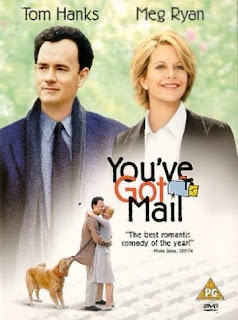 You’ve Got Mail: A feel-good chick flick with Tom Hanks and Meg Ryan in the leading roles, You’ve Got Mail has been a classic romantic comedy since it first hit screens in the ‘90s. It’s a very loose modern take on Pride and Prejudice – a rich guy and middle-class girl hate each other at the start and then later realize their mistakes, and that’s about where the similarities end, which is completely fine with me. In a way, it just shows how foundational Pride and Prejudice was for modern love stories. In this one, Joe Fox and Kathleen Kelly interact bitterly in the beginning, only to later discover they have much more in common than they thought. He’s rich and grand and owns a mega bookstore, and she owns a small, corner-side, children’s bookstore. And Kathleen is obsessed with the book Pride and Prejudice. Watch this one. You’ll feel happy and fuzzy inside afterwards. 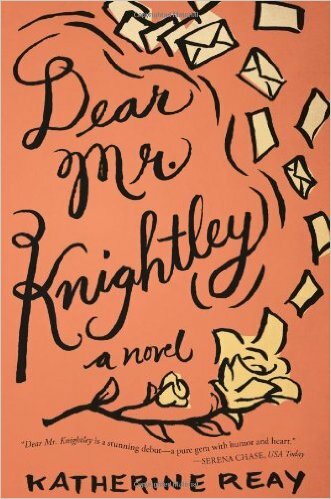 Dear Mr. Knightley by Katherine Reay: I audiobooked this one and was impressed. Though it’s not even an attempt to retell an Austen story, it draws heavily on her books and a few other classics. Heroine Samantha Moore is bookish, to say the least. She has all of Jane Austen’s novels fairly memorized and loves Dickens and the Brontë sisters as well. She quotes Austen in normal conversation to the point of aggravating others, and it’s quickly clear that she often does it to hide her true feelings. Throughout the story, her friends and grad school adventures help her to slowly realize that her literature obsession has become a wall in her heart. She hides behind her books to protect herself from facing fears that have resulted from her traumatic past. This one’s definitely worth checking out – it’s thoughtful, touching, and sensitive with difficult subject matter, and any classics fan will be right at home. Lizzie Bennet Diaries: This YouTube video series is decent, but not fantastic. Lizzie Bennet is a modern day grad student and video blogger, and the primary characters from the original Pride and Prejudice novel are still major players. Practical Charlotte, sweet Jane, flighty Lydia, prideful William Darcy, amiable Charles Bingley, and the scoundrel George Wickham are all present. But, like Bridget Jones’ Diary, this adaptation tries too hard to update everything. Some aspects of an 18th century novel just won’t translate to modern times, and sometimes it’s better not to try. The updated versions of Elizabeth’s trip to Pemberley, Lydia’s elopement with Wickham, and the marriages of Elizabeth and Jane are a few big events that left me dissatisfied. Overall, the series is funny and entertaining, but not an altogether ideal modern interpretation. Lost in Austen: This was so bad that I stopped in the middle, and I hardly ever leave a movie unfinished. A convoluted misadventure of a modern 21st century girl who finds herself in Elizabeth Bennet’s place inside of Pride and Prejudice, this miniseries shuffles up the novel’s events and characters so much that it’s hardly recognizable anymore. Bottom line: it chopped up the original story and I’m not okay with that. Pride and Prejudice and Zombies: Okay, so this isn't set in the modern day, but surely it's different enough to warrant mentioning here. A very popular book that’s soon to be a film, this zombie-war retelling just hits all the wrong chords for me. Admittedly, I’ve haven’t read it, but I flatter myself that I’m enough of an Austen fan to think that bloody wars with the almost-dead are a bit off. 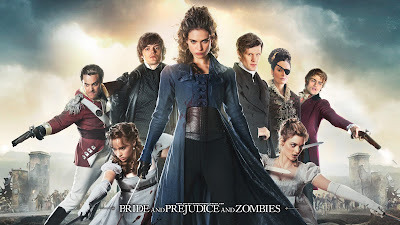 I’m bummed about the movie too – beautifully graceful Lily James, the world’s newest Cinderella and Downton Abbey’s Lady Rose, will star as Elizabeth, and I think she really looks the part, so it honestly makes me wish it was just another regular old Pride and Prejudice adaptation. Hopefully another one won't be too long in coming! 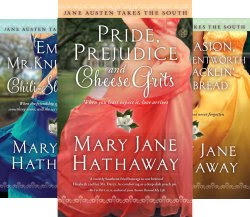 Jane Austen Takes the South Series by Mary Jane Hathaway: I came upon these in Barnes & Noble one day and perked up, but haven’t taken the plunge quite yet. Reviews sing their praises, saying they have a lovely mix of Southern charm, engaging romance, and fun acknowledgments to Jane Austen. From what I’ve gathered, they seem to honor the original stories while also spinning out new ideas so that Austen’s plot devices aren’t misused, which is clearly important to me. Plus, I was raised in the South, so of course I was intrigued, right? 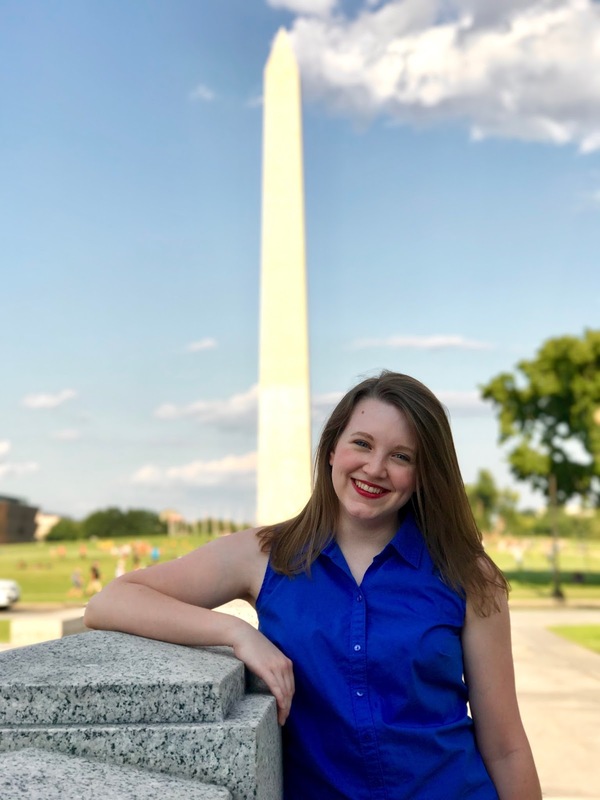 If you’re interested, here they are – Pride and Prejudice and Cheese Grits; Emma, Mr. Knightley, and Chili-Slaw Dogs; and Persuasion, Captain Wentworth, and Cracklin’ Cornbread. What titles, I’ll say, if nothing else! For no extra charge, I'll also add that I have really enjoyed a few retellings of Pride and Prejudice itself from Mr. Darcy's perspective. 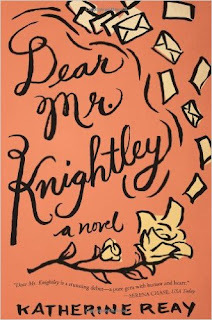 I really like Darcy's Story by Janet Aylmer and have liked what I've scanned of Dear Mr. Darcy by Amanda Grange. I also plan to check out the Novels of Fitzwilliam Darcy by Pamela Aidan at some future point. What Jane Austen spin-offs have you enjoyed? What are your thoughts on any of the above? Do you have any pressing recommendations? I'd love to hear! I liked Darcy's story too. The first one I read was Letters from Pemberly. That one was good. I really liked Death Comes to Pemberly (the book). The miniseries was O.K. but not as good as I had hoped. I read a book called Pies and Prejudice by Heather Vogel Frederick. It's aimed at younger readers, maybe middle school age but I liked it.I'm not really interested in Zombies even though I really like Lily James. I saw the previews and it looked gruesome. I haven't heard of Letters from Pemberley! I may have to look into it. I saw the miniseries of Death Comes to Pemberley and liked it pretty well; I thought it was very well cast if anything! And I'm with you on Pride and Prejudice and Zombies. I love Lily James too but I agree that the previews look very disturbing. Zombies are definitely not for me. :P Lily James is also in a new adaptation of War and Peace that's coming to A&E and Lifetime soon so I think I may just stick with that one, haha! I've read "Mr. Darcy's Diary" and "Mr Knightley's Diary" by Amanda Grange. I enjoyed them, though Darcy's much more than Knightley's. I'm very picky about Emma as it's my favorite. :) I also recently read and enjoyed "The Darcy Connection" by Elizabeth Aston. It follows Collins and Charlotte's daughters so it's not very connected to the original story but it's interesting overall. The people who did the Lizzie Bennet Diaries also did another modernization of an Austen novel called "Emma Approved". I wasn't a big fan of the LBD, but I LOVE Emma Approved. I think it's very well cast and modernized. It's also a lot cleaner. I haven't seen "You've Got Mail" yet... I need to rectify that!